We all know someone who is loyal to a brand. No matter what, they will not use an alternative product because what they use works well and anything that is cheaper or labelled an alternative just wouldn’t be good enough, right? Wrong! A good example of this is remanufactured toner cartridges – so why do certain consumers still have their doubts? Perhaps they’ve had a bad experience with buying a cheaper alternative and the phrase ‘you get what you pay for’ is now permanently etched in their mind? Undoubtedly, cost is vital to any consumer, which should make remanufactured cartridges all the more appealing. Cost is perhaps the biggest advantage of remanufactured cartridges, with sellers such as The Red Bus Cartridge Company offering cartridges that are up to 70% cheaper than original equipment manufacturer versions. Based in Boston, Lincolnshire, Red Bus Cartridges are an online seller whose niche is in remanufacturing laser toner cartridges – in case you were wondering about the company name, the inspiration comes from an actual 1966 bright red Routemaster bus that currently resides in their factory. Their knowledge and expertise in this area spans more than 30 years. This achievement alone is something they are extremely proud of, but they are also very passionate about the fact that from the start, everything has and is made right here in the UK in their purpose built 32,000m² factory. In recent years, Red Bus Cartridges have seen a number of changes in their industry, including acquisitions and mergers, and a surprising increase in counterfeit products. The demand for affordable cartridge consumables is prevalent, but consumers also expect a level of quality and functionality that cheap compatible versions simply cannot deliver. It’s not just the manufacturing that takes place at their Lincolnshire headquarters, all of the necessary tools and equipment are designed and made on site, they have an in-house team of technicians and engineers who carry out all of their product research and development, and all marketing and product support is also created internally. In fact, a completely self-sufficient organisation is something that the Red Bus Cartridge Company prides itself on, and that extends to finances. 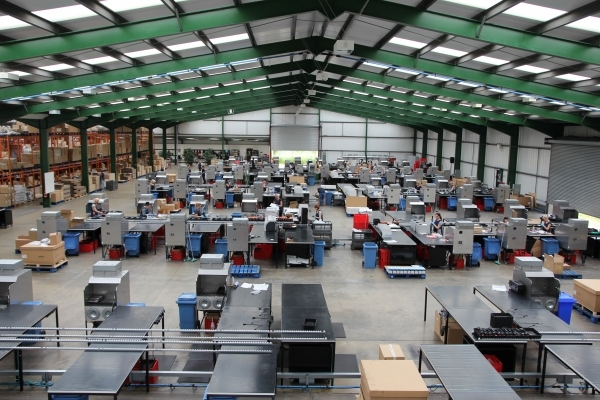 “We never had a long-term strategy except to always adapt to the changing market place from dot matrix and inkjet supplies through to laser toner and 3D printing. Our underlining strategy is to always be financially self-sufficient with no debt of any sort and to have a healthy bank balance. With this platform, direct change is always possible” states Studholme. There is a strong engineering and research and development heritage behind Red Bus Cartridges, and they are adamant that as they do everything under one roof, they have complete control over all processes – from product development to dispatch and everything in between, and can ensure that the finished product is one of the highest quality. It is a common misconception amongst consumers that quality is affected through the remanufacturing process, but it is one that the Lincolnshire company are quick to dispel. Remanufactured cartridges should not be confused with copy or compatible versions. These types of cartridges are extremely cheap and are often produced with stolen designs. 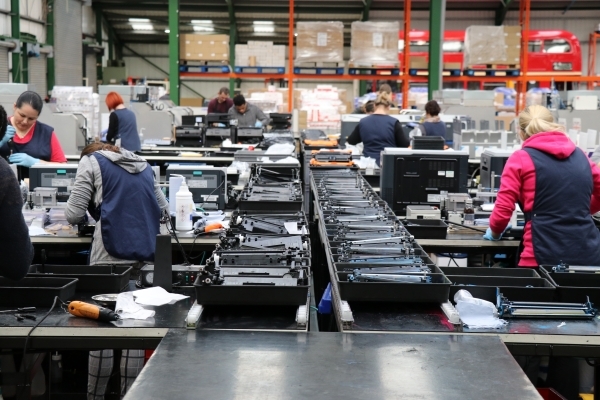 The quality of compatible cartridges cannot always be trusted and regularly fall short of British manufacturing standards, which can have long term damaging affects to a printer. Compatible cartridges are often imported from Asia, a process which can also have harmful effects to the environment due to the lengthy supply chain involved in shipping the empties and finished product. Ultimately, as a British manufacturer, Red Bus Cartridges sees their longevity as their biggest achievement, one that not many other companies can boast. They own all of the factory plant, machinery and buildings outright, and have made advances with their products to ensure that they remain at the forefront of their industry, after all, as Studholme says, if we don’t look after our customers, someone else will.